Now, if you want to buy a full frame DSLR from Canon, you don’t need to spend a lot of money on the 5D Mark III or 1D X. Weighing only 770 grams (which is 20% less than the 5D Mark III) the cost of the camera starts at only $2099 (about $1,400 cheaper than the 5D Mark III). In addition to full-frame 20.2-megapixel CMOS-sensor, the novelty is the first Canon DSLR that can boast the presence by offering Wi-Fi and GPS-modules. Now, using special free apps for Android and iOS, you can remotely take pictures, change settings and set geo directly from your smartphone. The new camera features DIGIC 5 + image processor (again, as in the more expensive 5D Mark III). The 6D also offers a burst of 4.5 frames per second and Full HD video recording at 30 frames per second with stereo sound (maximum length of one movie clip is 29 minutes 59 seconds). Sensitivity range of EOS 6D did not change from 5D Mark III. 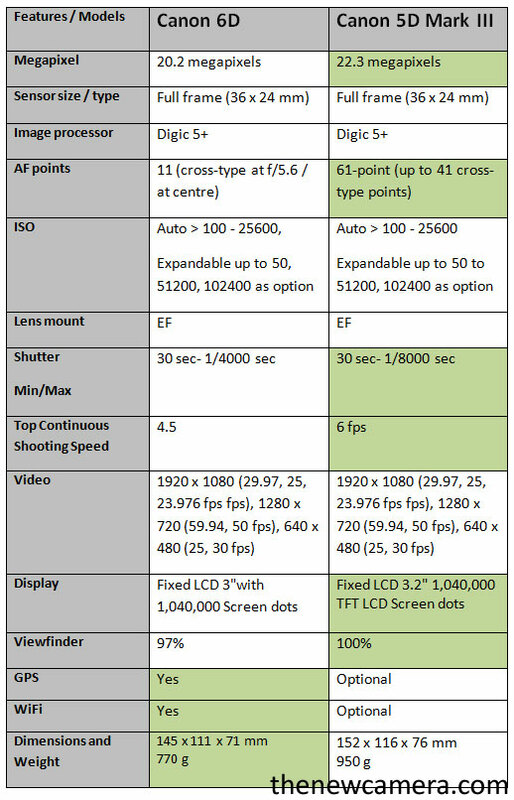 It is ISO 100-25600 which can be expanded to ISO 50-102400 (better than the Nikon D600). Camera also provides improved 3-inch ClearView LCD-display with 1.04 million pixels and supports SDHC memory cards and SDXC (1 slot). An important innovation is the new 11-point AF system with one cross-type sensor. Canon claims that the new AF sensor is the most sensitive in low light. The device will be available in December. For the body only you will have to pay $2099 and the kit with lens 24-105mm f / 4 L will cost you $2899.